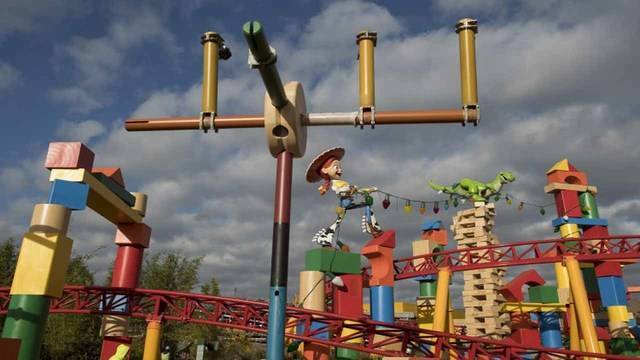 Toy Story Land opens today – the eleven acre land based on the popular movie franchise gives lucky visitors a chance to be an honorary toy while exploring the whimsical world of Andy’s backyard. Andy though is never seen, as according to the back story he has just been called inside by his mother, leaving his toys – and you – scattered all over the backyard! 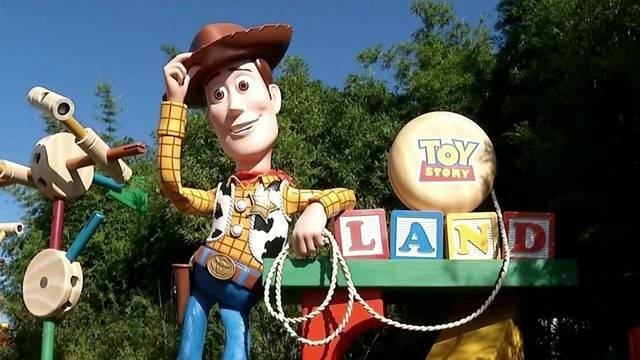 Alongside Woody you will of course find all the other favorite characters including Buzz Lightyear, Jessie, Slinky Dog, Mr. Potato Head and the Green Army Patrol. There are two great new rides, Slinky Dog Dash and Alien Swirling Saucers, joining Toy Story Mania, which gets a colorful new entrance. And there’s food – Woody’s Lunchbox offers some modern twists on some popular dishes. There is the three-cheese grilled cheese sandwich, a brisket melt, old-fashioned soda floats and other refreshments which can be ordered from a walk-up window fashioned out of Andy’s vintage lunchbox and thermos flask.